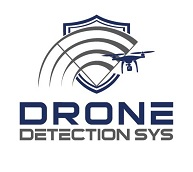 Drone Detection Sys is a Swiss system integrator based in Geneva, Switzerland specialized in new civilian C-UAS technologies, countering drones technologies for customers from both public and private sectors. The company has an experience of more than seven years in civilian drone in advanced R&D in urban canyons, as a service provider, training and consulting for civilian missions through its sister company. This deep experience represents a strong asset to fully understand all technical and legal requirements of such technologies in order to better advise, sell and implement countering drone technologies in cities, urban environments.